I couldn't get this to upload on the form. 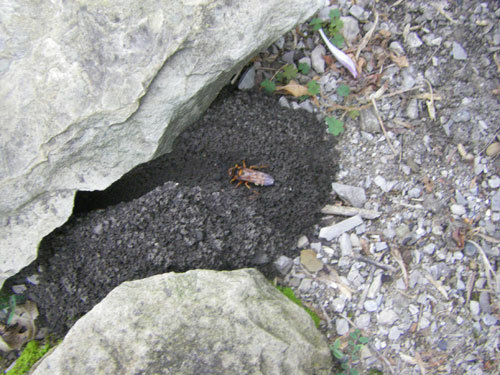 I found it in my yard this morning at 7:30 am Temp: 70 degrees F.
Yes, that is definitely a female cicada killer digging a burrow. The large and long deep depression trailing away from the burrow entrance is quite indicative of the species. Thanks for sharing.